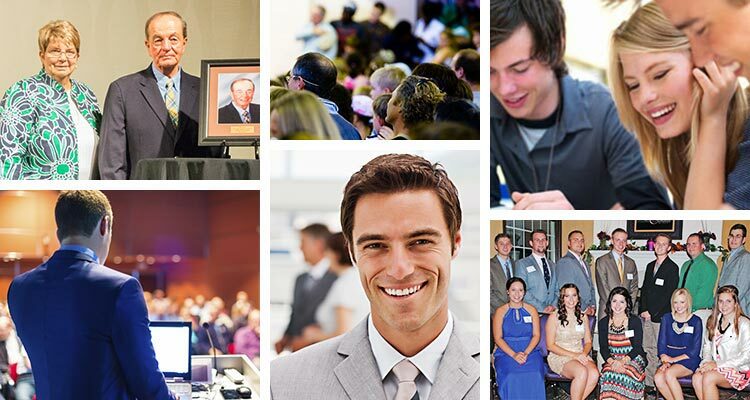 Outstanding events that raise awareness, recognize achievements and raise funds for the Black Hawk College East Foundation. The livestock judging program has been part of Black Hawk College East Campus for the past 50 years. To celebrate, the alumni will be hosting its 10th annual Livestock Judging Alumni Reunion to recognize those who participated on the 1979, 1989, 1999, 2009 and 2019 teams. The event gives alumni the opportunity to catch up with coaches, teammates and the next generation of BHE judges. You'll have a great time sharing memories and making new ones, while supporting the BHE Livestock Judging Program. Friday, April 26, 2019 Social Gathering starting at 5:00pm, Dinner and Program begins at 6:00pm. Register online on or before April 15, 2019. AmericInn Lodge and Suites, Kewanee. To make a reservation, call 309/856-7200 on or before April 12 and mention the Black Hawk College Livestock Judging Alumni to receive the special rate of $107.95 + tax. Donate an item: If you would like to donate an item to the silent auction, e-mail aissa@purdue.edu. Items will be promoted on Facebook prior to the event. Learn more about Black Hawk East Livestock Judging Alumni. The Agri-Business Club Alumni (ABCA) held its annual Alumni banquet and meeting in January. The event recognized and inducted outstanding alumni into the ABCA Hall of Fame. The ABCA also elected new officers and members to its board of directors, and raised funds for Black Hawk College Agriculture programs at the East Campus. The 2019 event honored the classes of 2014, 2004, 1994, 1984 and 1974. In addition, the ABCA honored individuals with the following awards: Outstanding Alumni Recipient, Friend of the Alumni, and Future Alumnus Award. “The Black Hawk College East Campus Ag Alumni believes in the future of the Black Hawk College East Campus and our agriculture students becoming the next leaders of our industry. Through contributions from donors like you, we continue to award gifts to students and faculty at the East Campus in all agriculture programs. This past year we supported events such as the BHC East Campus 50th Anniversary Celebration, the Annual Ag Recognition Program and the Aggie Picnic. We continue to award scholarships through faculty requests and to two outstanding students annually. This event was held in August to celebrate the BHC East Foundation's 50th Anniversary. The celebration included campus tours, a light buffet reception, silent auction and anniversary program. 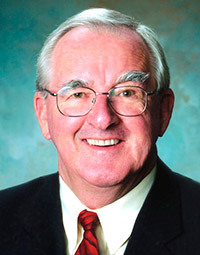 In the fall of 2017, Dr. Arthur W. DeCabooter was inducted into the Black Hawk College East Foundation Wall of Fame during a ceremony at the college’s East Campus. The Wall of Fame represents individuals and organizations that have made Black Hawk College East Campus the quality higher education institution it is today. 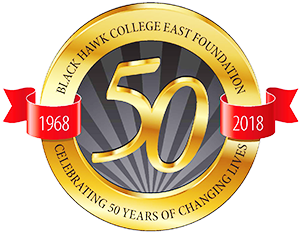 The Black Hawk College East Foundation sponsors a Scholarship Recognition Banquet annually in the fall to recognize the generosity of its scholarship benefactors and award recipients. One benefactor is asked to speak each year about their decision to establish a scholarship fund and the impact of their generosity on the students attending the East Campus. The award recipients are also invited to say a few words about how the scholarship has helped provide access to higher education and enhanced their lives.